What is the difference between semi-auto gearboxes and traditional automatics ? Good question. Basically the former has an electrically controlled gearchange whereas the latter contains a torque converter characterised by the lurch you experience as you engage first gear. From my experiences with roadtesters and the public, there is confusion between both. Semi-autos are designed to be driven with a light right foot. On one launch in 2015, road testers including myself, were scathing about one Japanese manufacturer’s CVT gearbox, there you go another acronym to learn : Continuously Variable Transmission. The aforementioned CVT simply was thrashy on inclines and changed up a gear at the wrong time even with a heavy right foot around Lisbon but naively, it was us that were at fault – we were inexperienced. I recently purchased a 2010 Fiat Punto CVT that was soon bought online by one woman without physically viewing the car. 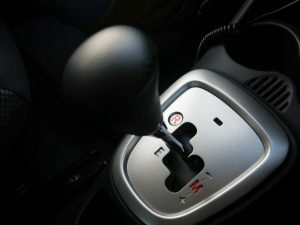 Months later, she texted me stating that the gearchange was slow so I replied that that was the nature of the gearbox although you could change manually like a racing stick with +to change up and – to down change. Mechanically, the car was fine although I was perturbed by her message so I did a vehicle check and noticed that the car had been re-MOT’d prematurely – passing first time with no advisories. Sniffing that a trader had it, I clicked on autotrader and found it looking fresher than when I had it. It was advertised at almost £1000 more than I sold it for although displayed invoices for a service and timing belt replacement. That proved that it wasn’t me at fault or the car but the buyer who misunderstood the gearbox. I felt reassured that the car was fault-free but it does question the mentality of those who buy without driving and secondly is the need sometimes to adjust driving style to suit – a learning curve. I’ve owned older semi-auto Toyota Aygos that incredibly, are taxed at only £20 yearly which for an ‘automatic’ is rare. Furthermore, the gearstick has to be in neutral or ‘N’ for it to start, like a traditional automatic. There have been no problems although recently, a 2007 Mitsubishi Colt has caused me some bother as it intermittantly displayed an engine management light that defined as transmission control module or P0702 if you are a code breaker geek. Despite being driven sixty fault-free motorway miles, it decided to throw up a code around the city and worse was that later on, it wouldn’t engage drive and couldn’t be pushed either. It was fine after being left a few days later but those in the trade advised me to get rid despite it having a full service history – main dealer no less from 2013. My advice: if you want a cheap automatic, older semi-autos tend to be cheaper tax-wise than full automatic transmissions. Get one with low mileage and adapt your driving style to suit. I swear by them now which I wouldn’t have said years ago. « DVLA Data protected ?